Large resin chain necklace by Amor Fati. 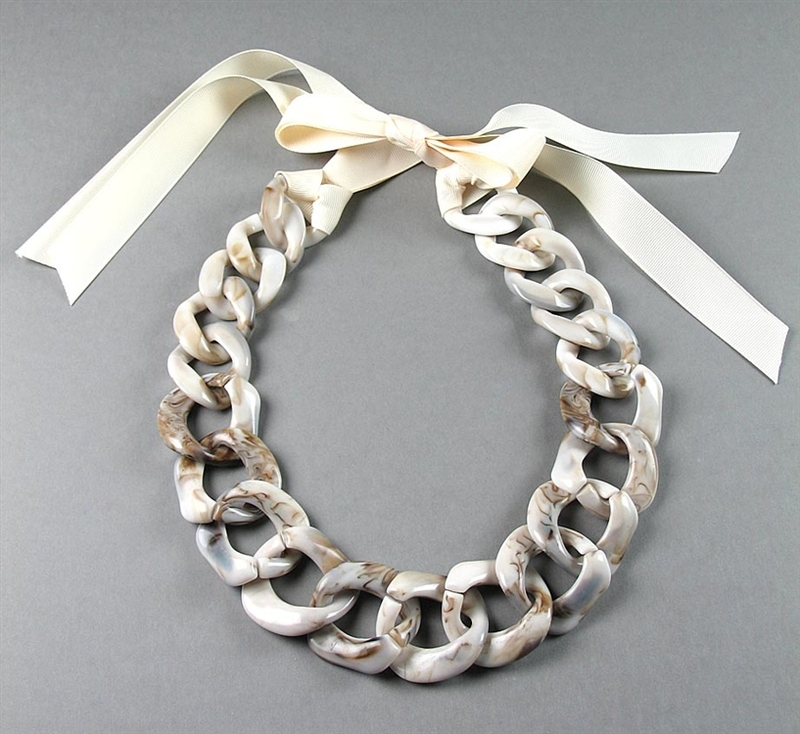 This classic elegant necklace features 42mm cream/beige resin links and cream grosgrain ribbons. Necklace measures 142cm/56" in total length. Resin chain measures 56cm/22".